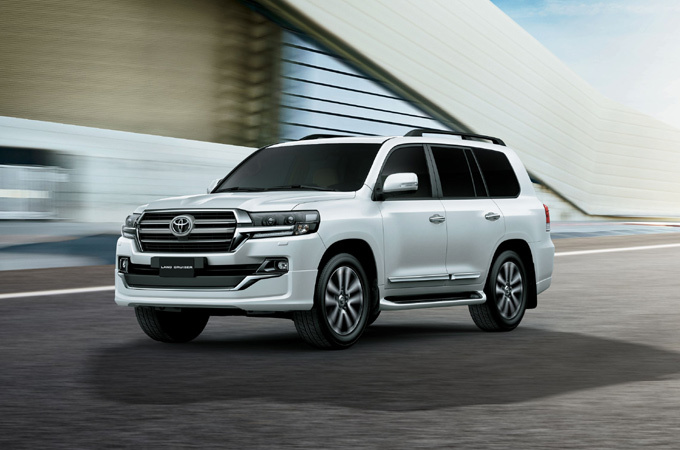 Ebrahim K Kanoo, the sole distributor of Toyota vehicles in Bahrain, has announced the arrival of the special edition Land Cruiser 4.6L GX-R Grand Touring (GT) Edition at the Toyota Showroom in Sitra. The Toyota Land Cruiser is the leading 4WD SUV in the Middle East Region, due to its outstanding performance and unwavering reliability. For over 60 years the Land Cruiser has raised benchmark after benchmark, carving out its own path and becoming an integral part of people’s lives everywhere you go. The latest Grand Touring Edition promises to set yet another benchmark with its added aesthetic upgrades and special edition stamp. The 4.6 Litre V8 already comes with a host of amazing features including an independent double wishbone front suspension which provides a seamless and smooth driving experience in the roughest terrain. It also boasts the latest technology and safety features to enable both drivers and passengers an effortless command of the interior cabin and all the features it provides.